Welcome To BeatDrops Pads Pro! 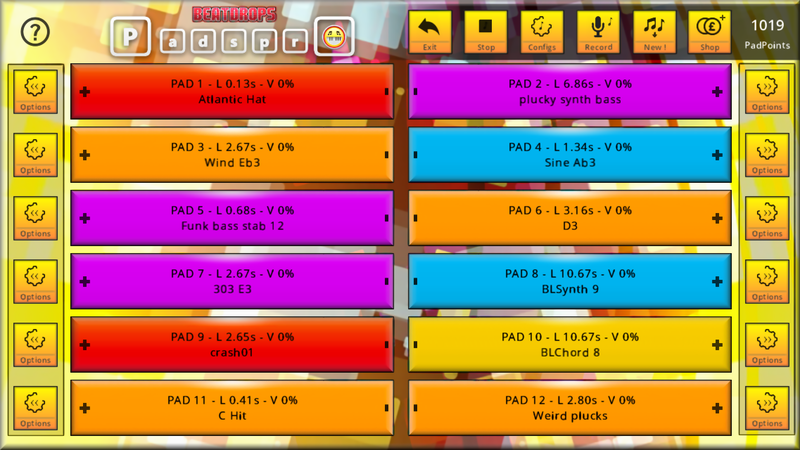 Pads Pros is a unique and fun new way to make music! Are you a skilled beat producer? Show off your skills to your friends! You have unrestricted access to thousands of samples from BeatDrops. 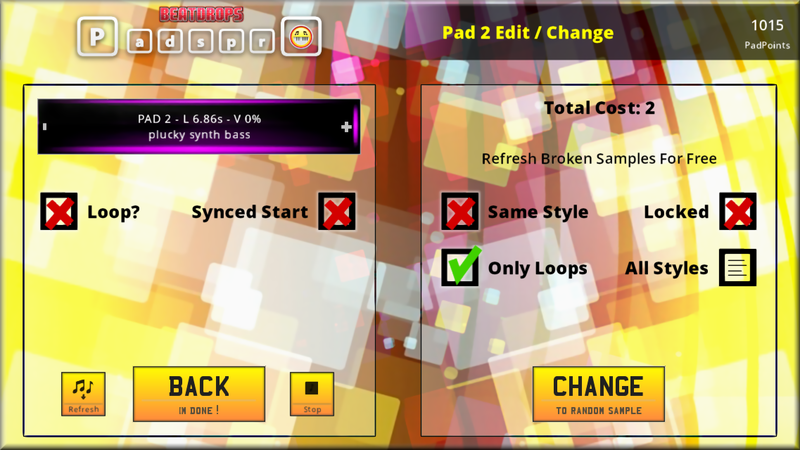 What Pads Pro does is randomly downloads new samples for you to play! You have 12 big sound pads which you simply tap to play a sound. Where you press the pad determines the volume of the sound played. For each Pad you can Reload, Change and Stop the Pad Sample. You can Lock the sample in so it is never changed. You can also set the sample to LOOP PLAY infinitely! There are 6 styles of samples Drums, Bass, Chords, Synths, Misc and Vocals. Multi Touch Support – Tap upto 5 pads at the same time! When you Press “New!” Pads Pro uses your settings to download 12 new samples from BeatDrop’s sample library, including snares, kicks, guitars, flutes and synths! But you have options to choose what style of samples for example drums or bass. You can also select to only download random loops. We give you 66 PadPoints for Free when you start using Pads Pro. When you download new samples or record it will use PadPoints. You can easily buy more PadPoints from the PadPoints Shop in the app! Press Record and compose your cool beat which is then recorded to mp3 using your mic in realtime! 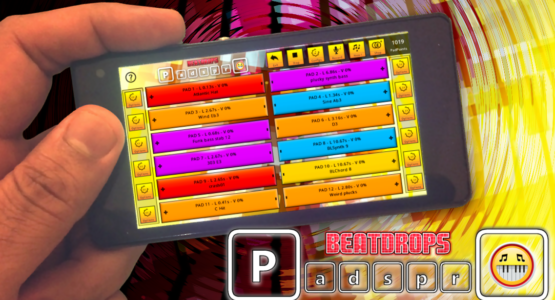 If you want more control and advanced features why not try our other music creation app, BeatDrops? Download your FREE music app today!